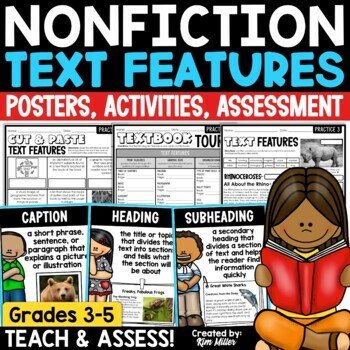 Give your students visual reminders of non-fiction text features with these 23 classroom posters! Each poster comes with a title of the text feature, description, and illustration. 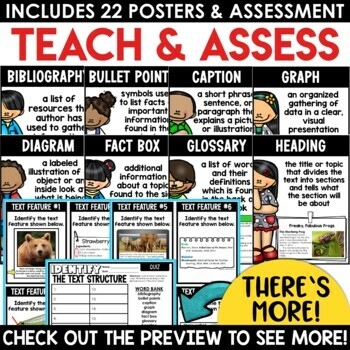 This resource also includes a 23-page student booklet in two different sizes. 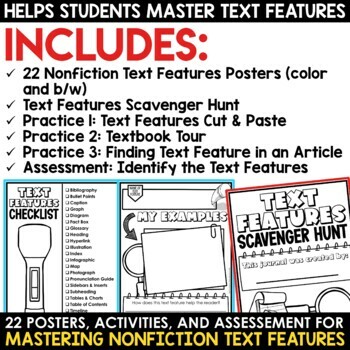 The student booklet includes a cover page and blank pages for students to add a description of each text feature and an example. Looking for more resources to help teach ELA skills?